Want to add a hint of mystery to your costume this year? Get your hands on this Black Glitter Eyemask and you'll add the perfect amount of playful perplexity to your outfit. If you're going out for Halloween as a sassy cat or a naughty clown this will be an enticing accessory that draws everyone in. Of course, if you're going out as a hero serving vigilante justice then you'll want to conceal your identity and this eye mask is a quick and easy fix to that problem. Once Halloween passes then you can still use this elegant mask for any masquerades you happen to get invited too, and then there is always Mardi Gras to celebrate. 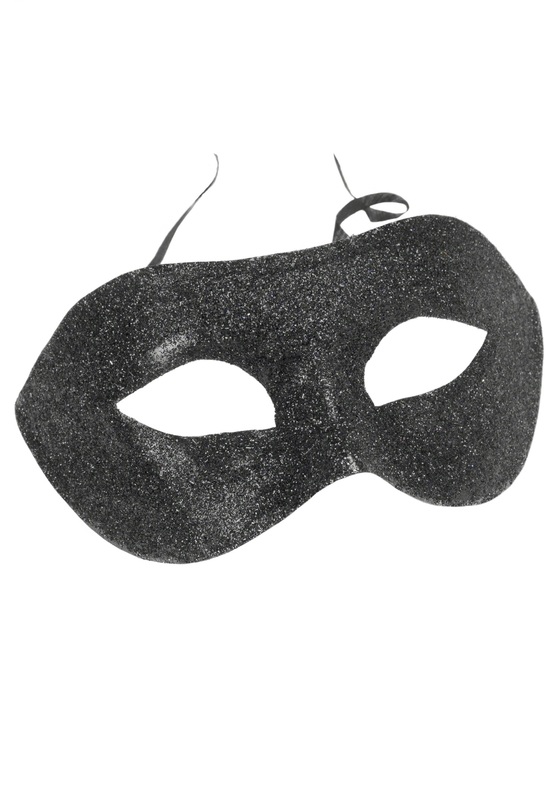 Grab this Black Glitter Eyemask and it will make your eyes shine like the brightest stars in the night sky. Captivate people with every mysterious look you offer out while hiding your true identity from the world beneath the beauty of this mask.